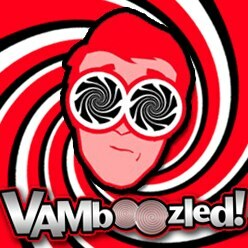 Kane Is At It, Again: “Statistically Significant” Claims Exaggerated to Influence Policy | VAMboozled! This entry was posted in General and tagged Common Core, Consumer Alert!, High Stakes, States, Tests, Transparency, Validity by Audrey Amrein-Beardsley. Bookmark the permalink. Gates is trying to shore up the Common Core by any means possible. At last check, only four states were using the CCSS without modification. Most have rebranded and modified them. The PARCC and SBAC tests are similarly jeopardized for many reasons, not least among these a method of back mapping that assumes perfect mastery of content and skills in every prior grade. The MET studies were deeply flawed but there can be no doubt that Kane and others do not care as long as they are free to pontificate and get grants without undergoing peer reviews of their work by experts in education. Your work in questioning and deflating the claims to educational expertise by economists, Harvard and otherwise, is important. Keep it up.